… Three dots, kind of the ones at the beginning of the paragraphs are referred to as Ellipsis. They are used to indicate to a reader that there have been an intentional omission of some word(s) from the content it is reading. We know that when it comes to website coding, many things can be manipulated to achieve a desired result. 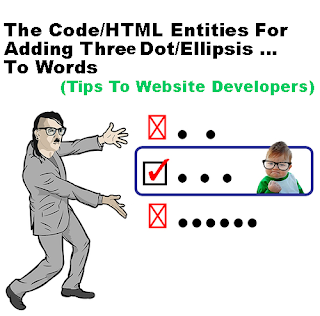 For example, many developers might choose to use three Period to create a feel of Ellipsis, and any reader of the webpage will interpret it to be an ellipsis. If you choose to use the popular three period instead of this, it is your choice. 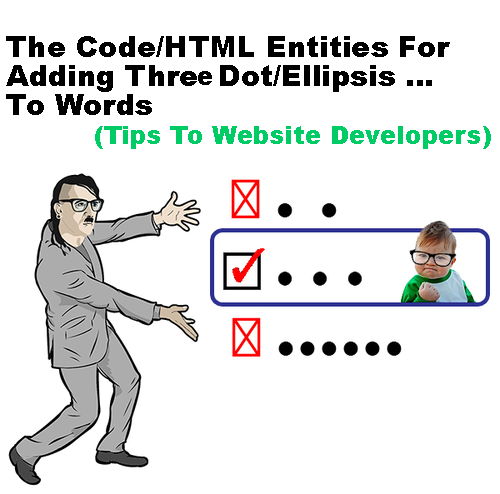 But we recommend that you from now on start to use this HTML Entities to insert an Ellipsis into a webpage you are coding, basically because of technical reason.